Added 14 March 'Update on funding for flood-affected businesses' announcement. Government announces extra money for councils to repair local roads following recent prolonged period of severe weather. Added link to Eric Pickles’ update following the final COBR meeting. Added link to 'Flood support schemes: funding available from central government' under flood recovery and updated image. Added 'government recovery' to page. Government information and advice about flooding and recovery in parts of the UK. 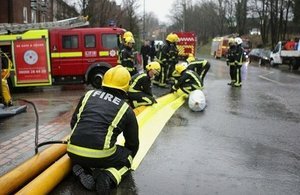 Government departments, local authorities and agencies are working together to do everything they can to help communities at risk. Find out about the flood support schemes and funding available from central government and get guidance on the government support on offer to help communities recover from the severe weather experienced during the winter 2013 to 2014. 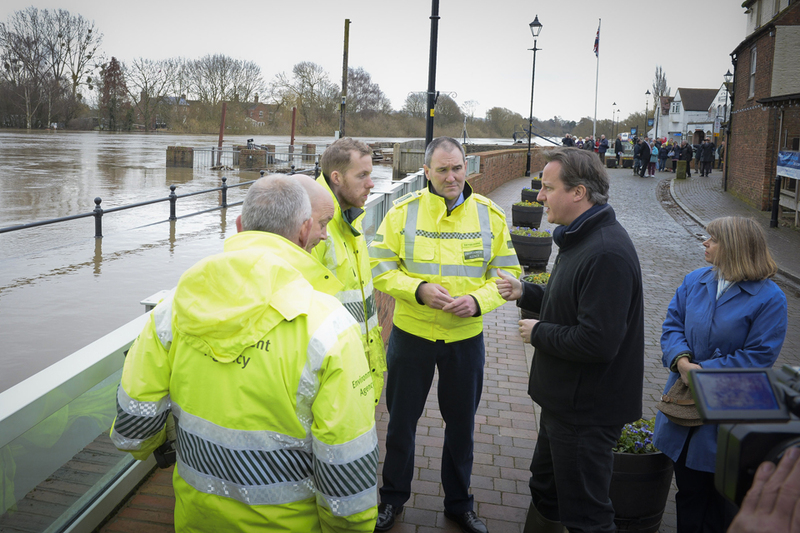 If you’ve been affected by flooding, you can find help from Flood Volunteers in your local area. There is a £5 reduction on all tickets for domestic flights from Newquay - delivered through a government grant to Cornwall Council. The reduction took effect on 12 February 2014 and will be in place for at least 2 weeks. FlyBe are more than doubling the number of flights available on the air route between Newquay and London Gatwick - providing over 4,500 extra seats per week. First Great Western has put in place special ticketing arrangements so that rail passengers who are affected by flood disruption do not miss out on cheaper advance fares while revised timetables are in place. 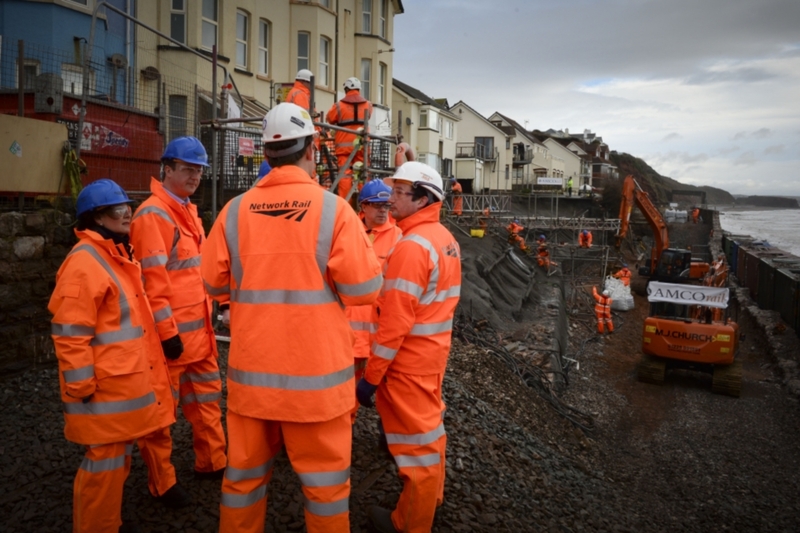 Passengers will receive a 25% discount on walk-up fares for journeys that cross the Dawlish gap. If they have bought a more expensive ticket, First Great Western will refund the difference. Find out if your area is at risk of flooding with the Environment Agency Live Flood Warning map - this is updated every 15 minutes. Follow #floodaware and @envagency on Twitter for latest news and information. More than 5,000 personnel have been committed to help with flood relief operations with thousands more troops remaining available if required. The military will continue to support flood relief efforts as long as their help is required, including the next phase of the operation centred around recovery and clean-up work. The government is in regular contact with the Electricity Distribution Network Operators and the Energy Networks Association. The Distribution Network Operators are very focused on keeping their customers updated in the event of any disruption to power supplies. See ‘Who to call if you have a power cut’. Ministers have held a meeting with insurance industry leaders to discuss how the insurance industry is stepping up to help hard-working people affected by the floods. Latest information and advice about the severe weather and floods from government agencies and partners. For advice on the risk of flooding in your area and how to prepare, visit the Environment Agency’s website or follow them on Twitter: @EnvAgency. For the latest severe weather warnings visit the Met Office website or follow them on Twitter: @MetOffice. For advice on travel by road visit the Highways Agency website or follow them on Twitter: @Highways_Agency. Use this tool to find your local council and their advice. Check with National Rail Enquiries for the latest updates on service disruptions. Advice on what to do before, during and after a flood. Health issues related to food, water and cleaning up after flooding. Read: Frequently asked questions on the health issues of flooding. Your chosen electricity provider sells you energy, but it’s your local distribution network operator who maintains the power lines that connect your home or business to the network. Take a look now and make a note of the number of the company that covers your area in case you need to use it at some stage. Further information: Who to call when you have a power cut.